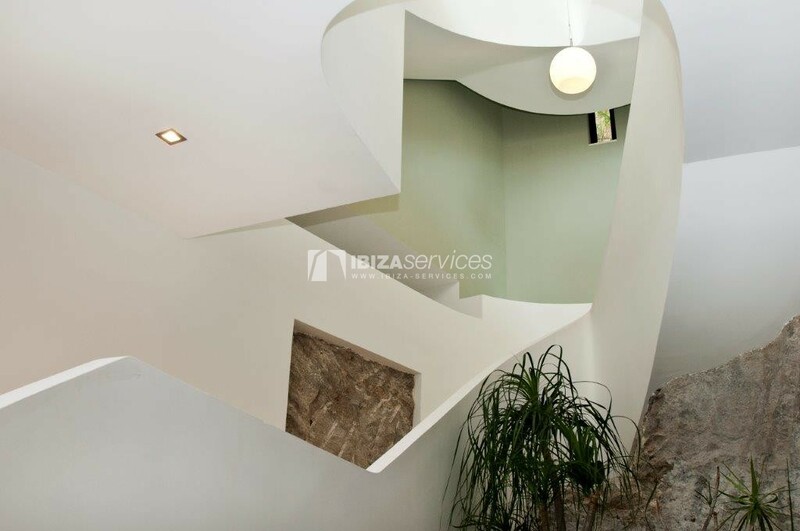 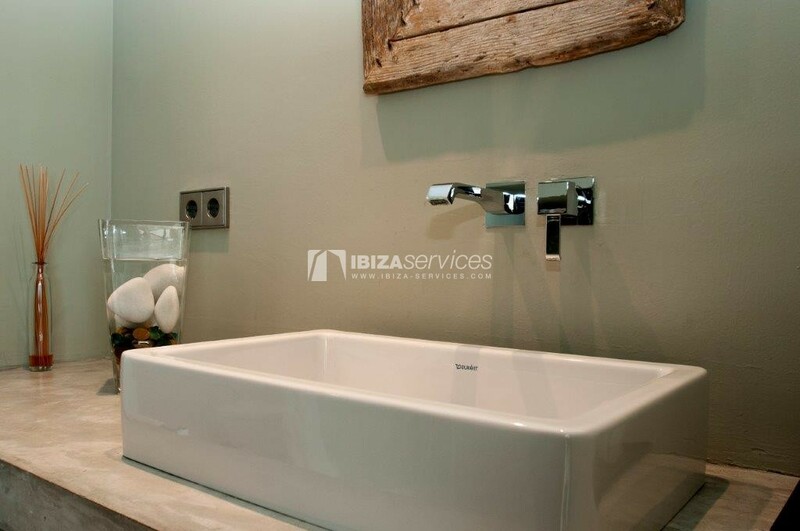 This Villa is built on top of a hill overlooking the island of Formentera and the beautiful old town of Ibiza, „Dalt Vila“ (UNESCO-1999). 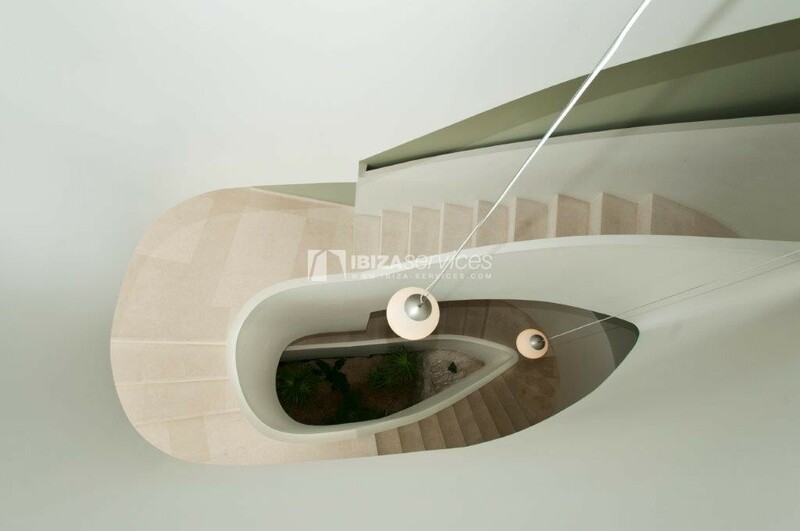 The contemporary style of this magnificent minimalist construction, also offers privacy, elegance and a sophisticated charm that meets the most demanding expectations, thus ensuring a memorable stay. 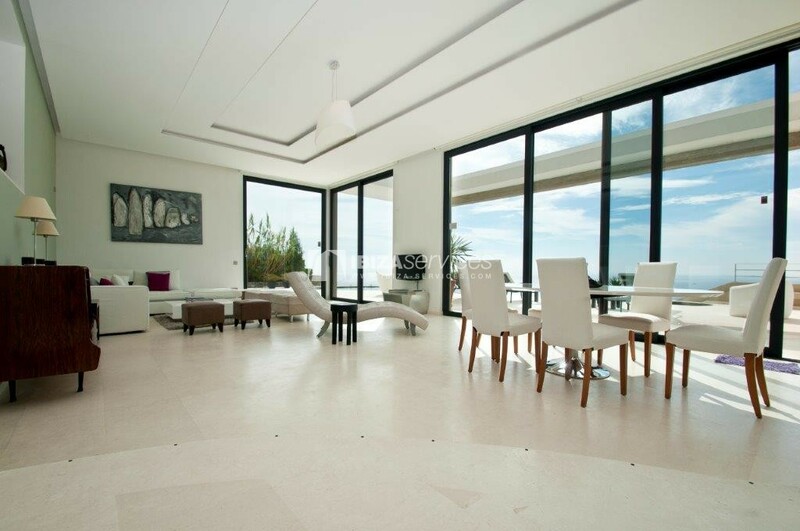 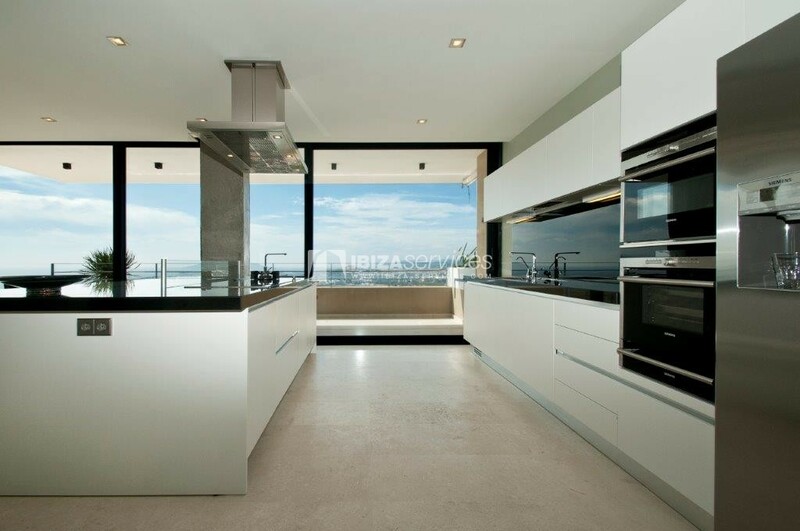 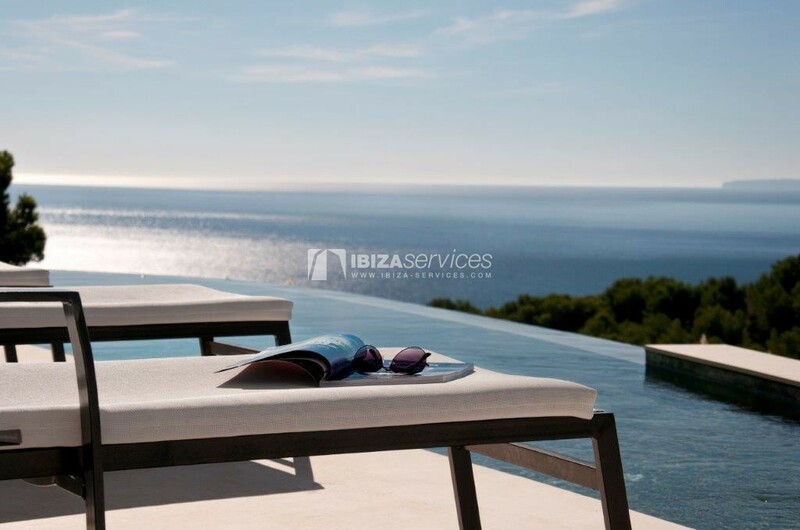 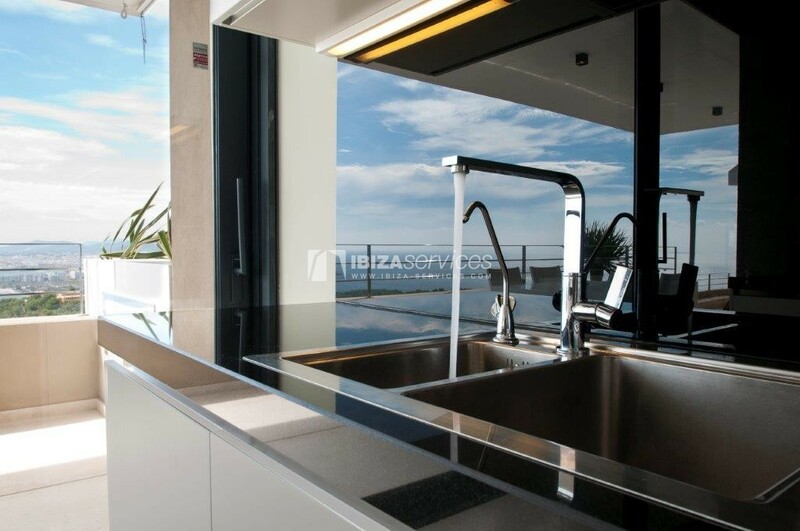 Stunning panoramic views from any corner of the house and a quiet and peaceful environment, will make you feel that you are part of the paradise that is Ibiza. 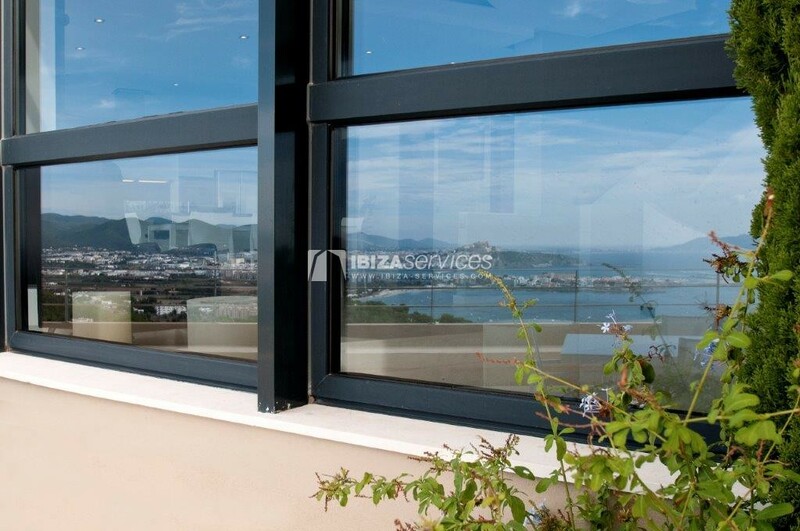 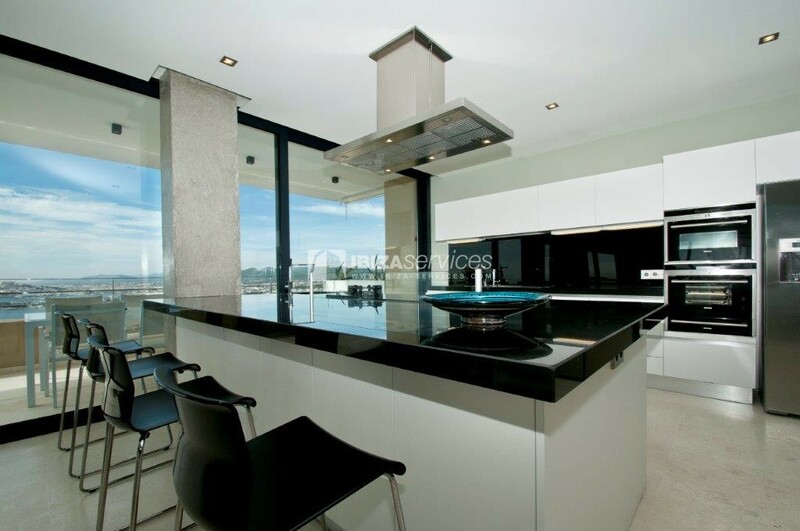 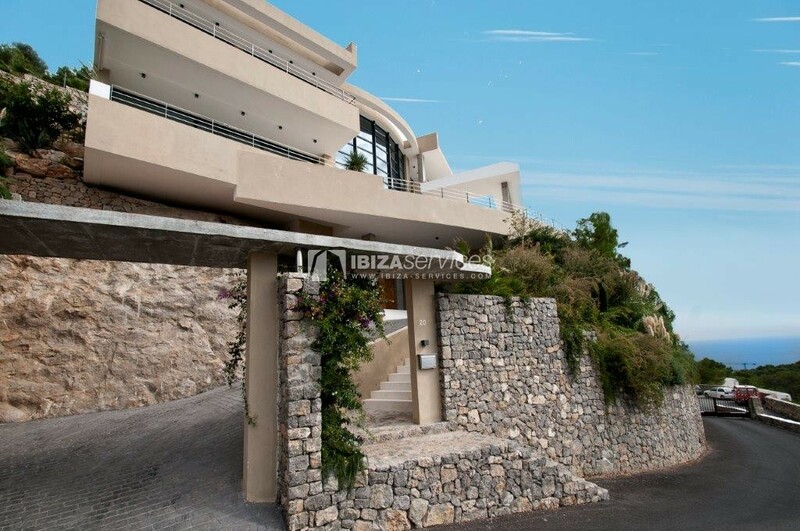 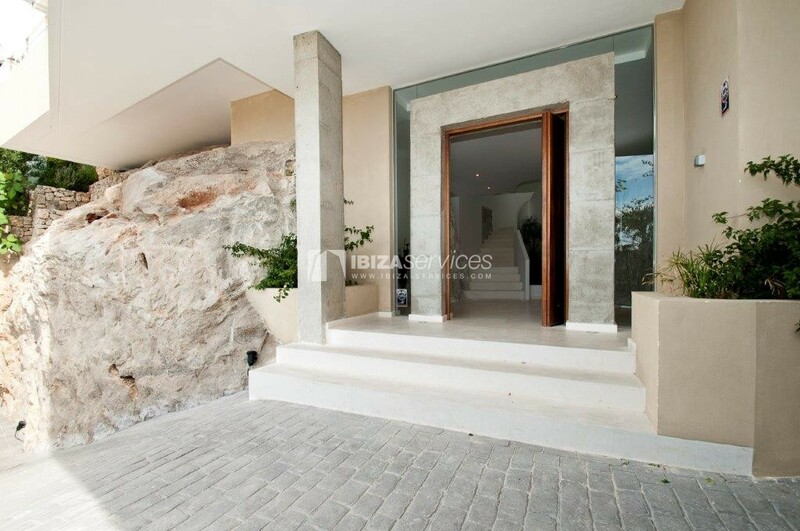 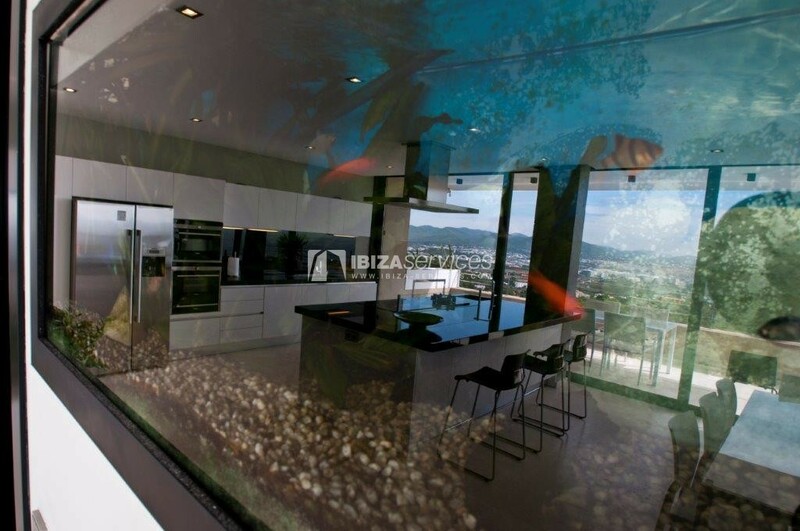 The location of the villa in an exclusive residential area, is just a few minutes from the marina „Marina Botafoch“ and the center of the city of Ibiza. 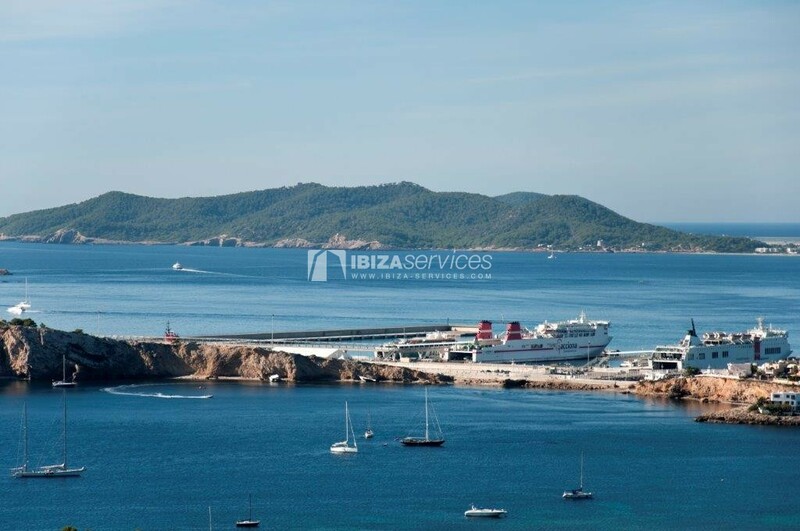 A few kilometers away and well connected, there are the beaches, restaurants and clubs that have made the island of Ibiza famous, with everything they have to offer. 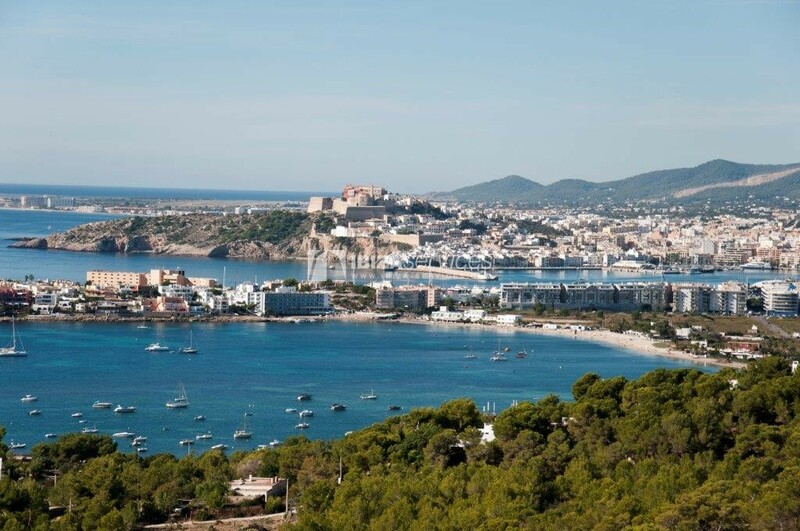 From the Villa, you can also reach walking and in a few minutes to the beach of Talamanca or Sa Punta and its picturesque beach bars. 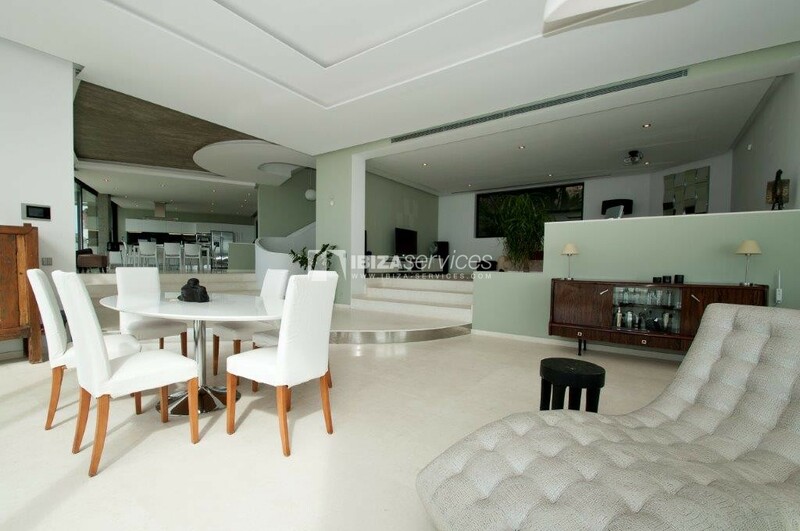 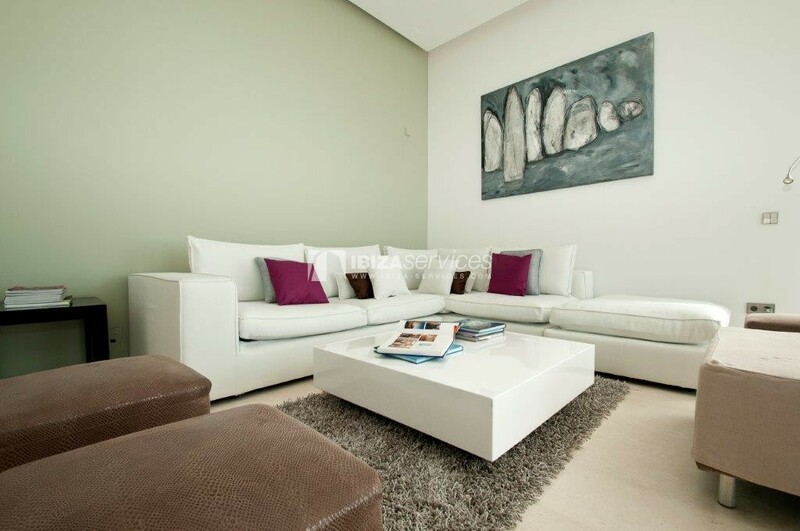 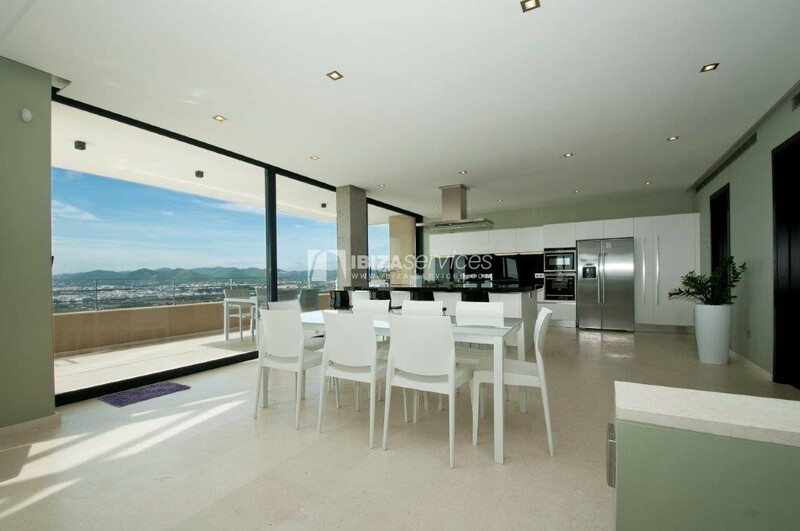 The house conssits on living room , fully equiped kitchen, 4 bedrooms, 4 bathrooms.